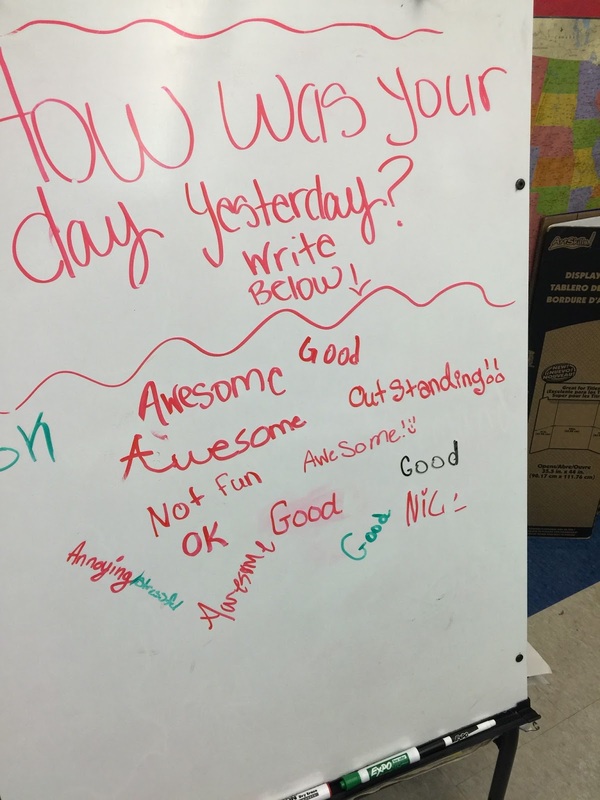 Guest post via @briteeyes49: My Students Have Taken Over The Easel! An easel sits in the right-hand corner of our room. Sometimes I use it, most of the time I don’t. “How was your day?” was the question. I could have blown a gasket. I could have started yelling about how the kids were writing on “my” board. I chose not to, instead, I encouraged it. Our students need to feel like it is “our” classroom, not mine. Today’s question was about our field trip, whether they enjoyed it or not. I still don’t know who is writing these messages, and I really don’t care.